August Nissan GT-R Sales were down slightly to 128 Cars. Year to Date a total of 876 cars up slightly. However up big were the 370Z, up 59.1% to 853 cars, the Juke up 30% to 4176 cars. Full press release and sales chart after the break. NASHVILLE, Tenn. – Nissan U.S. sales totaled 120,498 to set an August record, an increase of 22.3 percent over last year's total of 98,515. Nissan Division sales, spurred by gains of its top-selling, core models rose 24.3 percent in August to 108,614 units, also an August record. Sales of Infiniti vehicles finished August at 11,884 units, up 6.5 percent. Nissan division posted record August sales of 108,614 units, up 24.3 percent from 87,360 the prior year. 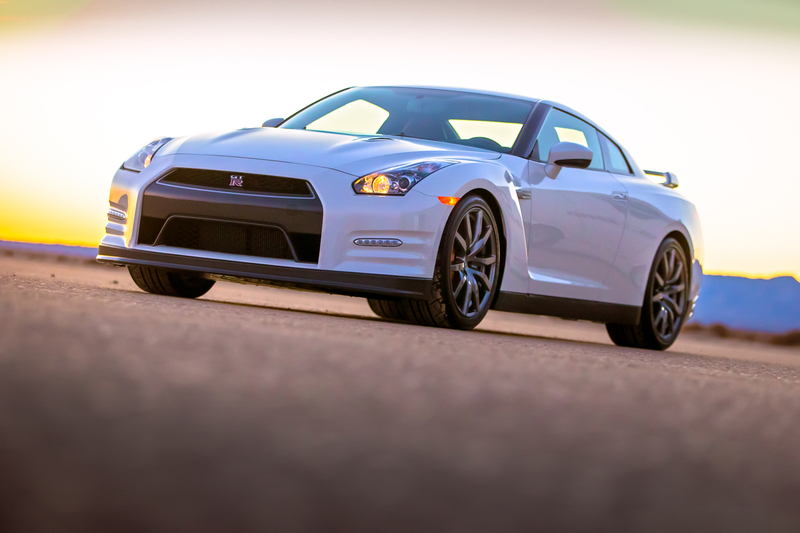 For the first time, Nissan exceeded 100,000 retail sales in a month. Nissan LEAF had its best-ever month, with 2,420 August deliveries. Sales in new wave markets continue to grow, with Atlanta taking the crown as the No. 1 LEAF market in August. Since introducing the 2013 LEAF in March, deliveries are up 317 percent over the same period in the prior year. Altima sales jumped 19.6 percent in August to 30,976, an August record. Altima sales are up 8.9 percent year-to-date and gained over a point of segment share in the first seven months of the year. Sentra sales rose 18.7 percent to 12,605, in spite of low inventory levels. Sentra sales for 2013 are up 18.3 percent. Versa deliveries increased 8.8 percent over the prior year to 9,991, in part due to the ongoing launch of the all-new 2014 Versa Note. In 2013, Versa continues to be the leader among subcompacts, topping the segment 21 of the last 24 months (through July). Sales of Rogue crossovers set an August record at 17,273, an increase of 36.8 percent over the prior year. On Sept. 10, Nissan will unveil the all-new 2014 Rogue, which will be produced in Smyrna, Tenn., beginning later in 2013. Sales of the current-generation Rogue are up 16 percent in 2013. Pathfinder sales continue to roll, up 258.4 percent to an August record of 8,859. Fred Diaz, divisional vice president, Sales and Marketing and Service and Parts, Nissan U.S.A. said: "Top models like Altima, Sentra, Rogue and Pathfinder continue to gain share in their segments, driving Nissan to a sixth consecutive record month for the division and our best retail month ever in the history of Nissan in the U.S. The recent introduction of the all-new Versa Note and the all-new Rogue launching this fall will only help Nissan sales to continue the winning streak." "If you haven't been in a Nissan showroom in the last 12 months, you may not recognize much of it—as we continue to bring out new vehicles, the average model age is down 40 percent from a year ago," Diaz said. Infiniti today reported sales of 11,884 units for August, an increase of 6.5 percent from 11,155 units a year earlier. August saw the first sales of the all-new Infiniti Q50 luxury sports sedan, with 2,434 units sold. The Infiniti QX60 7-passenger luxury crossover had 3,026 deliveries, up 27.2 percent, making August its best month ever; year-to-date, sales of the QX60 have totaled 20,556 units, up 69.9 percent. In August, the Infiniti QX80 full-size luxury sport utility vehicle was up 19.4 percent to 1,225 units. Infiniti's crossover and sport utility vehicles were up 15.5 percent in August, and are up 19.4 percent for the year. NOTE: To ensure consistency in global sales reporting, Nissan North America calculates monthly variances on a straight-percentage basis, unadjusted for the number of selling days. August 2013 had 28 selling days, while August 2012 had 27 selling days.